COOL TOUCH – perfectly safe portable water equipment. 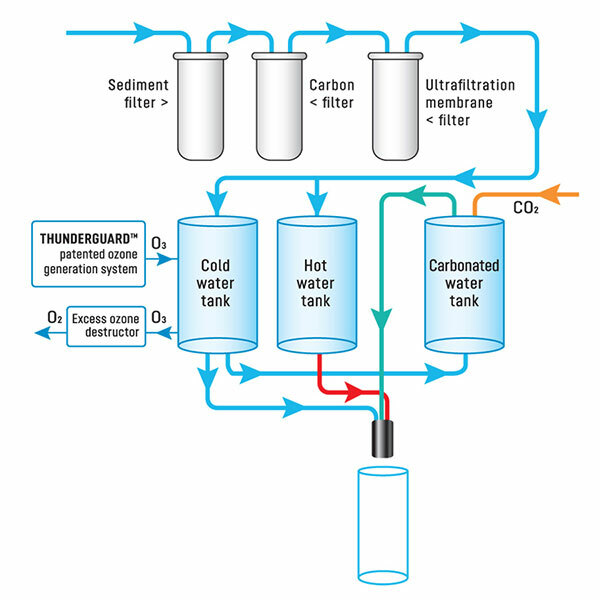 COOL TOUCH equipment features an innovative built-in ozone generation system THUNDERGUARDTM, which prevents the development of microorganisms and viruses in drinking water. This technology has been patented by the European Patent Office. Protected with ozone, water retains the salts and minerals essential for a human organism. The ozone generator maintains the necessary pressure for water exchange in the inner containers of the equipment. This ensures a closed water supply cycle, which prevents the ingress of air from the outside and protects water against the air pollution. Currently, ozone-based water protection is the safest and most efficient drinking water protection method, which is also environmentally friendly. The WaterStop safety system prevents water leakage. 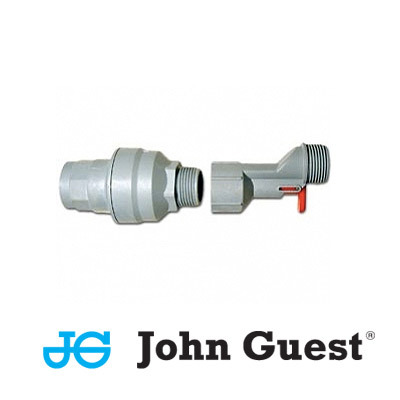 WaterStop is produced by the English manufacturer John Guest. The equipment is fitted with a meter that controls carbon dioxide (CO2) availability and cylinder pressure. If the cylinder starts running out of gas, an indicator stars blinking on the control panel. COOL TOUCH equipment features a child-proof hot water safety mode. It can also be disabled if necessary. COOL TOUCH has one discharge valve, which is protected against direct contact with hands with a decorative element, thus enhancing microbiological safety. Apart from that, the valve undergoes a thermal disinfection process every time hot water is used. The unique programming system lets the user configure the motion sensors and the operation periods. The motion sensor can be programmed to shut down the equipment when there are no users around. Using the control panel, the equipment can be programmed to shut itself down at night and at weekends. This set of measures significantly reduces power consumption. COOL TOUCH is fitted with a warning signal system to inform the user of its operation. The equipment shuts down automatically if the supply of power or water stops. The equipment is also fitted with a drip collector overflow indicator.